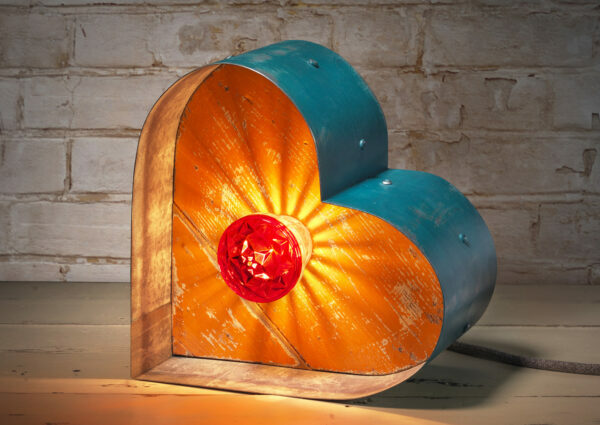 Our Stunning Vintage Heart Light Celebrates Lovers Everywhere. 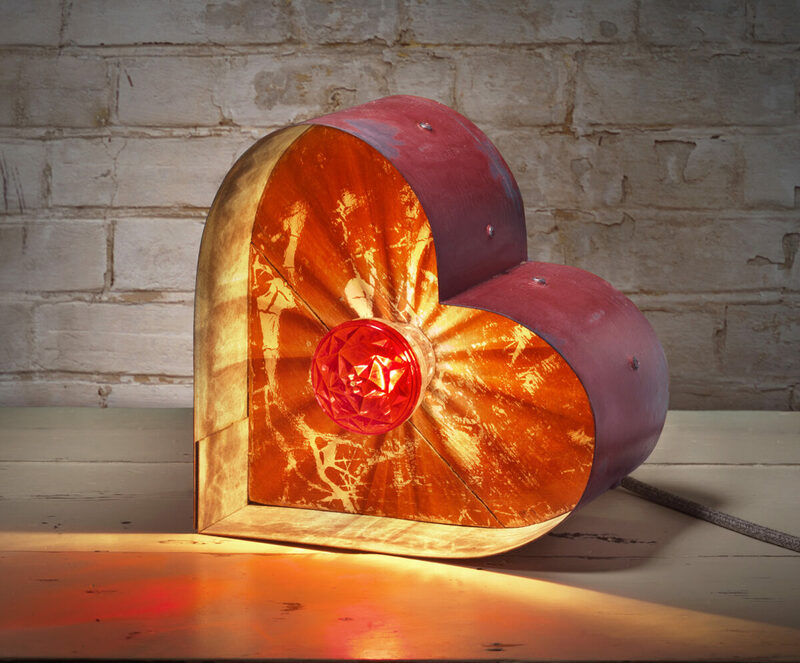 A fabulous zinc & reclaimed wood circus style heart light painted in cherry red. 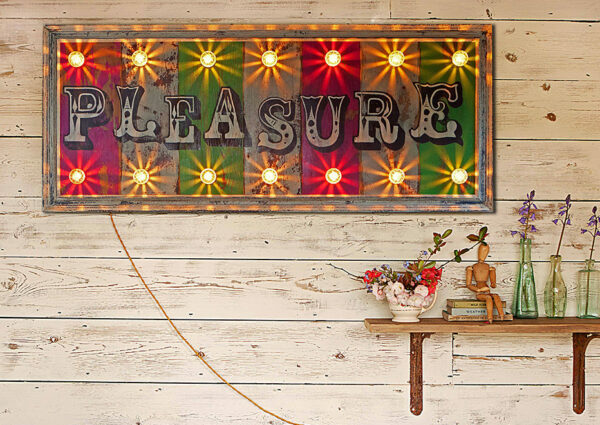 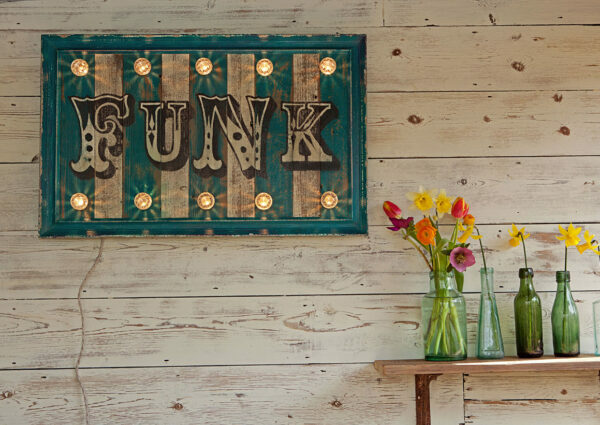 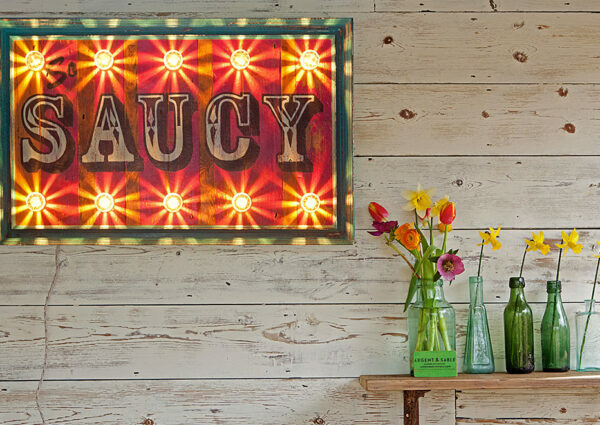 This statement piece has been lovingly and individually made by the designer makers at Argent & Sable who handcraft these illuminated circus lights from reclaimed wood and authentic cabochon lights in their Norwich workshop producing a piece of light art that is both unique and eclectic.